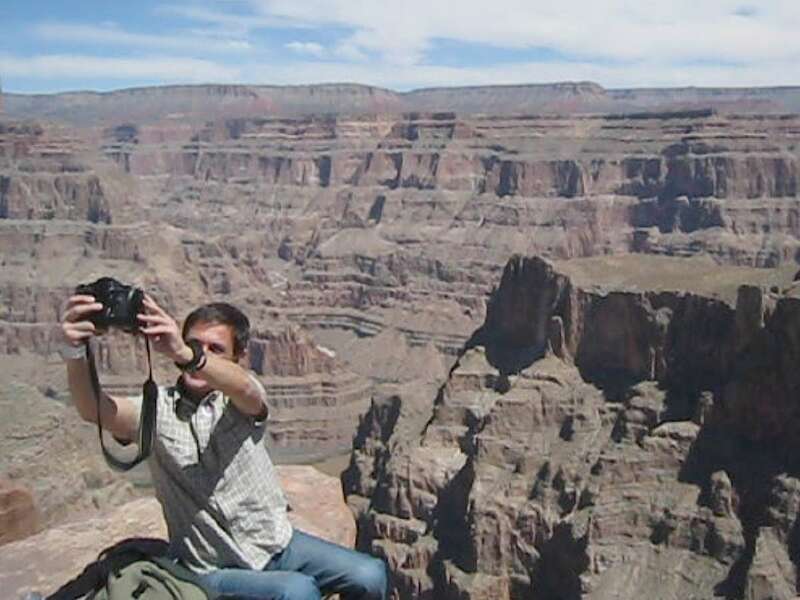 This Grand Canyon West Rim bus tour is a great tour from Las Vegas if you’re looking to taste the Grand Canyon and want to be back sometime by early evening. It’s a full day of fun and adventure and a great way to take a break from Las Vegas. This fun-filled 1-day adventure includes free hotel shuttle service from all major Vegas resorts and departs at approximately 7:15 a.m. (free lite breakfast included!). The road trip starts by heading east from Las Vegas towards Lake Mead. Your drive to Grand Canyon West Rim will take you over the Hoover Dam into the state of Arizona for a 15 minute photo stop, then over the Mike O’Callaghan–Pat Tillman Memorial Hoover Dam Bypass Bridge. You’ll disembark from the luxury touring bus and get up to 4 hours to explore the top of the rim. Key landmarks you don’t want to miss include Eagle Point, Guano Point, Hualapai Ranch, and the Hualapai Cultural Center. This bus tour is really well priced and comes with everything a traveler needs to enjoy the ultimate Grand Canyon experience. This means free hotel shuttle service, lunch, a Hoover Dam photo stop and all taxes and fees. The Grand Canyon Skywalk admission is not included on this tour. Tickets can be purchased onsite but it is best to purchase in advance to avoid the lines. We also have this same tour packaged with the Grand Canyon Skywalk admission included with the price. Professional driver with expertise on the Canyon. Hotel pick up at approximately between 5:30 a.m to 7 a.m.
Drive across Hoover Dam Bypass Bridge. Hoover Dam photo stop (15 minutes). Drive through an ancient Joshua Tree forest & the majestic Grand Cliffs Wash. Unlimited use of the West Rim shuttle. Up to 4 hours to explore the Rim and all it’s incredible sights. Return to Vegas around 6:30 p.m.
Departs every day of the year except Thanksgiving and Christmas. Hotel Pickup: Complimentary hotel pick up and drop off. Please indicate hotel when you book online. There’s no shuttle service to Summerlin.